It is always an exciting prospect, to chat with an actor. Not so much for the fun of speaking to a star, though that is an enticement too, but more of coming to know how a journey in life is different from the ones we live. One such interesting journey is what Abhishek Pandey, the lead actor in Ranjish, Shouvik Gupta’s webseries launched yesterday online, brings forth in a candid chat. Let’s start right at the beginning, with the obvious. Where did the acting bug bite you Abhishek? I realized as early as when I was in class 7th or 8th that I am the happiest when I am performing, re-enacting audio cassettes with dialogues of Anand, Sholay and Kalia in front of the mirror. I was so enamored by Bachchan saab in Zanjeer that I had announced at home I’ll be a police officer. This idolizing of matinee stars gave way to the thrill of living other people’s lives through roles, to get to live like another person. That is till date my most strong underlying motivation when I prepare for a role. There were hurdles of course weren’t there? Of course, it wasn’t easy and there were the familiar themes thereafter- convincing a middle class family, that this is what I want to be was tough. Being a good student, and on the insistence of my father insisted I have a formal degree, so I qualified as an engineer. I kept my passion alive by watching films and performing scenes when no one was looking. Everyone knew me as an encyclopaedia on films and I enjoyed that title. I went on to work in Surat but then resigned, knowing it was time to get a formal education in acting. My parents were very supportive. I moved to Delhi and learnt acting, topping my acting class at a private film school, doing a dozen odd short films, did intense theatre and gained confidence that I didn’t just think that I was good – I could actually deliver. I then moved to Mumbai where I did theatre with Nadira Zaheer Babbar’s Ekjute. I then got an opportunity to assist Saurabh Shukla on his feature film I’m 24. It’s where I met my future wife Arati and my passion for cinema grew stronger as she’s as big a film buff as me. But as our wedding date was fixed, I decided to take a little sabbatical and get back to a proper job. I couldn’t begin my married life as an unstable actor. A couple of years into our marriage, we got a wonderful opportunity to begin a sound studio with the awesome, National Award winner, Bishwadeep Chatterjee. That’s how Orbis was born. I immediately resigned from my job and threw myself completely into acting. I joined Ira Arun-KK Raina’s theatre group – Surnai and together, we’ve been doing some great plays since 3 years. With them, I get to work with great actors on superb roles. I’m also doing another play called Bhamasha, where I get to play Maharana Pratap while the veteran Dayashankar Pandey essays the title role, with director Manoj Shah. From acting school to web films, how did that transition occur? I have done some web films, short films and numerous voice over assignments. My short film, Silvatein, directed by Arati, premiered at the New York Indian Film Festival. We got such great feedback there and I realized that for an actor, the format isn’t as important as it is to keep working. I’ve played Shakespeare’s Mercutio, an NRI, a Kashmiri youth, a Rajasthani king, an urban husband, a psychologically messed up guy, a taxi driver and now with Ranjish, a cop. It’s amazing! For Ranjish, I have a dear friend Sethu (Sethumadhavan of MAM) to thank. A mentor of sorts to Shouvik and a friend of mine, it was he who recommended my name to Shouvik when he was looking for an actor to play Akansh Kulkarni. One audition and a couple of meetings later, I had bagged the role! The concept of a web series is new to India, and a lot is limited to mediocre stuff eliciting cheap laughs- not exactly stuff that can excite an actor. Any apprehensions before taking Ranjish up? Not at all! In fact, I see it as a great opportunity for the story tellers, actors & technicians! We have far more talent than what movies and television can currently accommodate. It’s great that all our talents now can have an additional, more reachable platform on the Internet. Web content is the answer to limited opportunities. It opens up a world of chances and is a great open platform. It’s already popular with youngsters who prefer watching content on the web at their convenience, not strapped down by show timings. To be able to see it on their laptops, phones and tablets makes it even more convenient and viewable on-the-go. No doubt, it’s attracting fresh talent and entertainment giants alike. TVF is making some great stuff for the web & now Yashraj has entered the arena with refreshing content. Of course, like with all platforms, there will be plenty of substandard material too with lots of people in a hurry to jump on to the bandwagon. But I really believe that the web will show us some great new talents. And Ranjish is a step in the right direction then? Ranjish is, at the risk of sounding repetitive, different from the existing web content which is mostly in the comedy space. 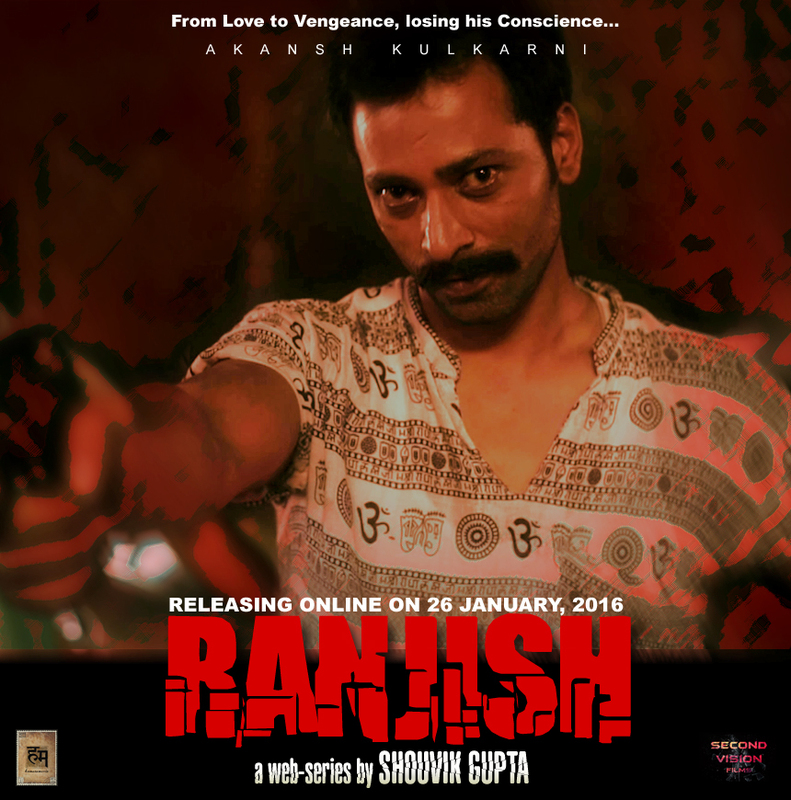 Ranjish is intense, dramatic and almost a film. I hope that this triggers more people to make brave, off the beaten track choices for web content. Does the medium demand a new skill set as an actor? As an actor, I have worked on various platforms, theatre, short films and web content. Theatre has given me confidence, nuances and taught me patience. Short films have helped me hone my skills in front of the camera, work around tight schedules and improvise around constraints. Web series has taken me a step closer to the film experience – everything was like it is done in the movies, just on a smaller scale. Personally, I am most inclined towards movies as an actor. So Ranjish was a great experience for me. As an actor, a web series like Ranjish gave me that range to build up on my character slowly, something that only cinema and theatre could offer. In Ranjish, I loved building the character of Akansh Kulkarni, brick by brick. I also loved that sense of intrigue & eagerness that every episode leaves you with. I found the story and the characters slowly unfurling, similar to something that happens in cinema. What drew you to the role? What is so special about Akansh Kulkarni in the series that attracted you? Akansh Kulkarni is a complicated man. And ask any actor, complicated characters as the most fun to do. We see Akansh in love, get angry, in deep agony, living in abject distrust, turn to the bottle for answers, a lover of music, a good friend, a solid cop, a shattered husband and a broken man. This was a fantastic range! Seldom do you get such meaty roles as an actor, He is difficult to love & tough to hate! 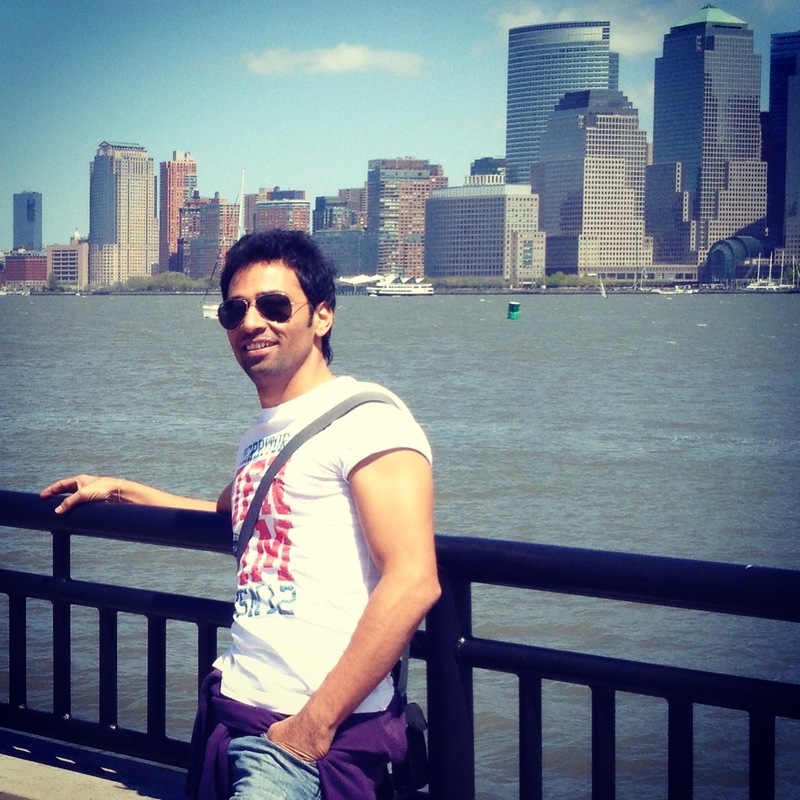 What are you hoping for Ranjish to achieve for you as an actor? My ultimate dream is to work on great parts in great films. Films drew me towards this art form and that’s where I wish to be. Everything I have done is a stepping stone towards movies. I really hope Ranjish helps me get closer to the silver screen. It’s an impactful story, is well written, very well shot, sharply edited and looks like a movie. But above all, it’s a story well told. I am very optimistic it will open new doors of opportunities for me as well as all of us who’ve worked so hard on it. How do you prepare for a role? What is your process? Well, there are instincts and there are methods. I use both. I wouldn’t call myself a method actor although at times, certain methods have immensely helped me. But inherently, I am an actor who is more dependent on his instincts and observations. I begin with the basics -thoroughly and repeatedly reading the script & descriptions, writing my own notes on the script, reading it aloud and creating back stories for my character. Not consciously though but most often I end up writing a Hindi poem on the crux of the character that I am preparing for. I love to read & write poetry & something just comes out on paper in my own words which helps me understand the character more. It somehow makes me understand my character better and I warm up to him faster after I’ve written the poem. Incidentally, one such poem that I wrote while preparing for my Akansh Kulkarni is a part of Ranjish as well. Fame or quality work which would you choose? Ideally, both! The way our industry works, fame (if used well) gets you the quality work. But that takes a while. Even an actor of Irrfan’s calibre, had to go through unflattering roles in television and non descriptor film parts before he could do something that deserved his talent in cinema. So, yes, I am greedy and I want both. I want my quality work to get the fame and then maintain the fame with quality work! What is your favorite moment / memory from the shoot of Ranjish? There are plenty! One in specific was a very important, long, verbose scene that Shouvik and Priyanka (our DoP) decided to take with a two camera set up – one pointed at me & the other at Divyeshu & Ruchi (my co-actors). It was at least a four page long sequence that we went about, without any rehearsals on the sets and got it right in the first take. In fact, every actor was so involved into that sequence that reactions were magical. Shouvik has kept parts of that take in the series. It was pretty unforgettable. So now that Ranjish is out for everyone to savor, where to next? Will there be a season 2? Ranjish’s story reaches its logical end at the end of this series itself. That said, Ranjish is a mood more than a story. And moods never die! So if Shouvik wants, he can take the series forward but the story will have to tread a fresh new path. Shall be happy to work together on something soon. At least, I will be happy to work with him again!